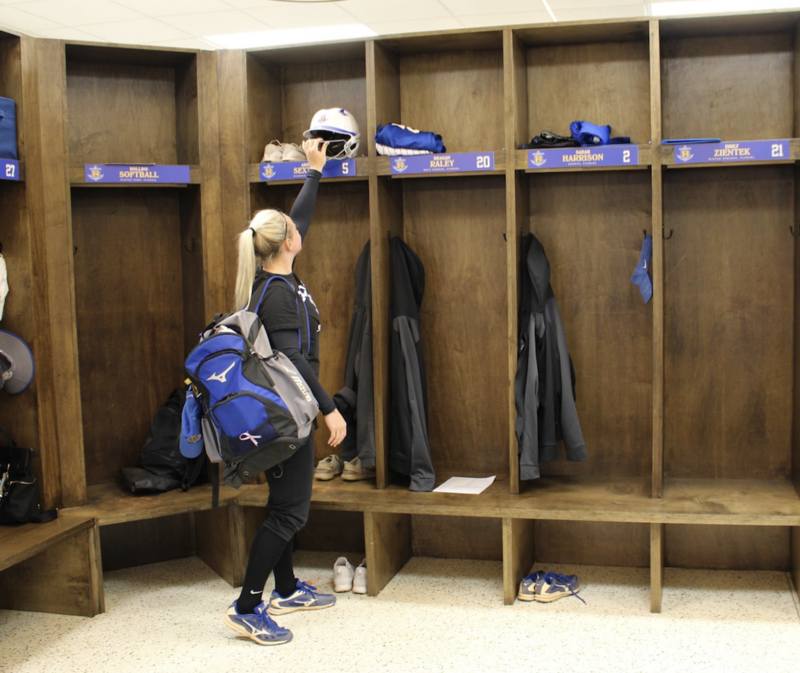 After 23 years as head coach of the Rollins softball program, Michelle Frew will finally get to gather her team in its own locker room facility. The City of Winter Park leased a building to Rollins located behind Martin Luther King, Jr. Field, where the softball team plays and practices. 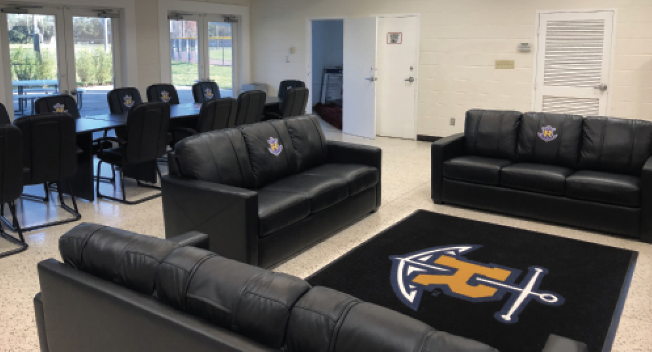 Over winter break, the College transformed the unused space into a sports clubhouse filled with personalized wooden lockers, leather couches, a conference table, and a television. The team received the facility after a long fight led by members who pointed out the safety threats and disadvantages they faced without one. The break-ins were so frequent that, instead of tactical pointers, freshmen were first and foremost told to conceal their belongings, Crawford said. Crawford voiced her concerns in a piece published in The Sandspur last fall. After years of complaints by students, coaches, and parents, the team can finally breathe a sigh of relief. “Now, we don’t have to carry as much equipment back and forth. It makes training smoother and it makes it easier to focus on softball and not worry about other stuff,” said first baseman and outfielder Victoria Whalen (‘19). Crawford remembers the frustration when seeing the infrastructure in other schools. “Every other team had it. We knew baseball had two locker rooms before we even got one. It’s hard not to feel jealous,” she said. The news has propagated throughout the Rollins softball community. The clubhouse offers players a space to relax and bond as a team outside of their 20 hours of weekly practice. “I didn’t think we would be able to do so much with it. The girls do homework in here, they had a movie night, they have dinner. The team is closer now, because they don’t go in their different directions after practice,” said Frew. In the hopes that it will translate into the field, Frew is happy with the newly-found sense of unity.